If you are just getting into the cycling world and you are confused by all the bike types out there you should read this beginner’s guide. We are going to tell you the difference between a road bike, mountain bike, hybrid bike, comfort bike, and cyclocross bike. The evolution of the bicycle is a very interesting thing. In the last 15 years or so we have been witnessing a boom in the types of bikes on offer. The bicycle industry is trying to find the best bike for each one of us. Today is much tougher than ever to decide which bike type is best for you. There are almost 20 bike types that we can find in the market today. The road bike is a sleek, very good looking and as light as a possible bike. It’s designed to be ridden fast and on well-paved roads. Most of them feature close-ratio gears, very skinny tires ( normally 23mm or 25mm wide ) and drop handlebars. The most expensive road bikes have frames made of carbon fiber composite which is the super light and durable material. Some frames are made of aluminum or titanium. Each of the materials has its pros and cons. Usually, the road bikes are suited with tires 700C which is a French size system still used today. The braking normally is standard linear brakes acting on the rims. Disk brakes are not allowed in the professional cycling but lately, you can see some road bikes fitted with them. The riding position on a road bike is very low because of the aerodynamics. There is a myth that the road bikes are very uncomfortable but this is not the case if your bike is set up properly. Road bikes normally use some of the best high-quality components available on the market, and often the manufacturers experiment with new components on them first. The cyclocross bike is a specially designed road bike for mixed surfaces. It is good for paved roads, bike paths, gravel, and grass. Because of its wider tires, it can handle a little bit of off-road cycling. Cyclocross is a discipline in cycling for off-road on short distances. Usually, these races are held in municipal parks. Artificial obstacles are used to make the race more difficult and there is a lot of mud. That’s why these bikes have a lot of clearance. Often these races are held in the winter months. The frame of a cyclocross bike normally is aluminum but it can be made of other materials as well. The brakes are also a little bit different than on a standard road bike. The main reason is that they should not build up mud on the frame so normally they are disc brakes. Cyclocross bikes are very good commute bikes, because of the versatility, durability, and comfort but they are very expensive. The touring bike is practically a road bike designed for long distance cycling. They are good for paved roads and very durable for self-supported long-distance international rides and tourism. Packing your possessions into panniers and cargo racks are easy with all the mounting bolts installed. With the wider tires of 32mm, it’s much easier to carry the weight. Most touring bikes use the standard cantilever brakes but many modern bikes now feature disk brakes as well. The more upright riding position is common because of the shorter top tube and longer head tube. Steel is still used in the manufacturing of the touring bike frames and there is a good reason for that. It’s very durable and super easy to repair if needed on a long-distance expedition. With such a bike you can even cycle around the Earth as Sean Conway did. 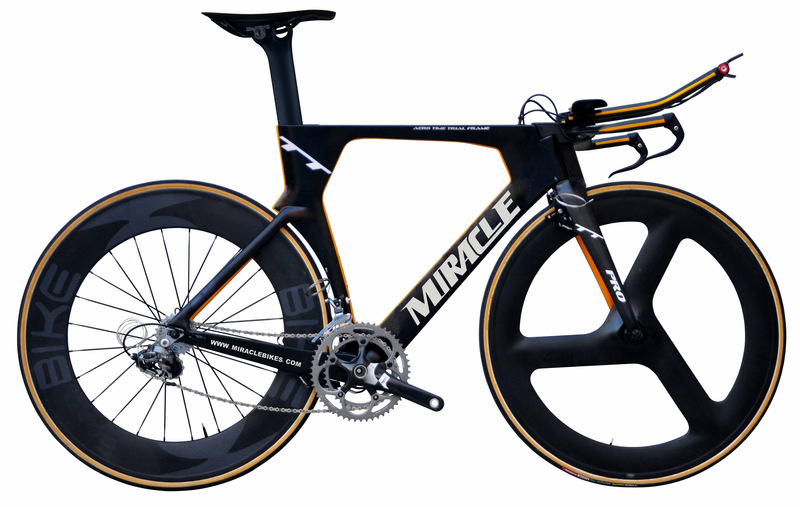 Time trial bikes are specially designed to maximize the aerodynamics. The cyclist in time trial races are not allowed to draft behind another cyclist reducing the aerodynamic drag is crucial. They use triathlon handlebars which allow the cyclist to crouch forward while riding. Higher gearing than the standard road bike is common since the time trial races are short but intensive. The wheels are deep rim or disk wheels which additionally reduces the aerodynamic drag. Some triathlon bikes use the smaller 650c tires instead of the traditional 700c tires. Time trial bikes are extremely fast, but also very expensive. They can be used on special races or events organized for time trials. The mountain bikes are designed for riding on rocky, rough terrains. All mountain bikes feature wide flat handlebars, fat and wide tires, very low gear range for climbing. Suspension and disk brakes are options as well. Actually, they are numerous types of mountain bikes itself depending on the purpose. Bikes with long-travel dual suspensions are good for downhill, hardtails with suspension forks for general mountain biking, etc. Also, they can divide by the suspension. For example, the bikes with only front suspension are called hardtails. Bikes with both front and rear suspension are called full-suspension. Something the bikes with no suspension are called rigid bikes but this is not so common. There are three wheel sizes: 26″, 29er’ and 27.5’’ each one of them with pros and cons. In general, we can say that the bigger wheels roll better and the bikes are faster. The smaller sizes are slower but more maneuverable. Most of the mountain bikes are with aluminum frames because it’s cheap to produce, strong and light enough. You can still find some very good mountain bikes with steel frames too. Steel frames are more durable but heavier than aluminum frames. The mountain bikes are maybe the most popular bikes on the streets because they are cheap and good enough for everyday cycling. But most probably there is another bike designed exactly for your needs. 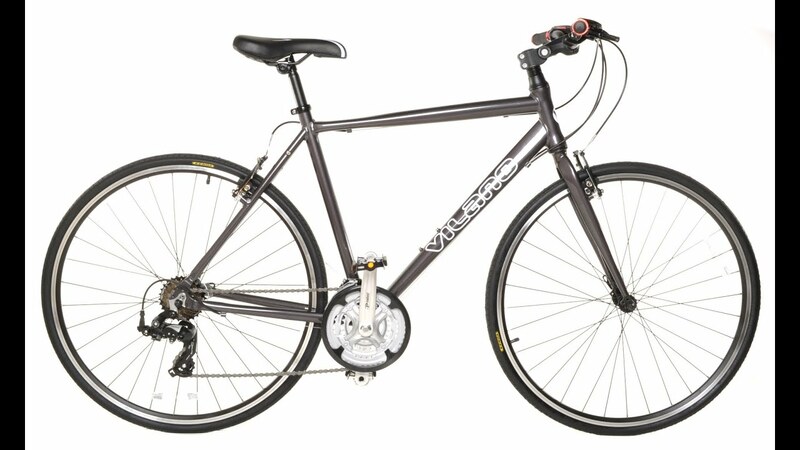 This is a bike which is a hybrid between the standard road bike and mountain bike. With the large padded seats and upright handlebars, they provide very comfortable riding position. The hybrid bike is the best choice for cycling to work or your normal day to day commute. They have light frames and large 700C tires for good speed. The tires are usually something between a road bike and mountain bike. They can handle easily cycling on bad roads and potholes but definitely not suitable for off-road. Some of the hybrid bikes come with pre-installed mudguards and lights. They have very good stopping power for city emergencies using cantilever or disk brakes. In the past, the hybrid bikes were called cross bikes but this term is no longer used in order to avoid confusion with the cyclocross bike. Performance hybrid bikes are the type of hybrid bike with the more aggressive look and for more performance oriented cyclists. It is more of a road bike and less mountain bike hybrid. They usually feature flat or upright handlebar, smaller more performance-oriented seat and most of them are without any suspension. They are very good for touring and general city commutes. Sometimes this bike type is called flat-bar road bike as well. Folding bikes are in their ‘’Renaissance’’ today. They are very modern and trendy in the big cities like London and New York. The folding bike is super easy to store and transport and in some cases, you can even store it under your desk. They are very good for commuters who need to take their bike on the bus or train. 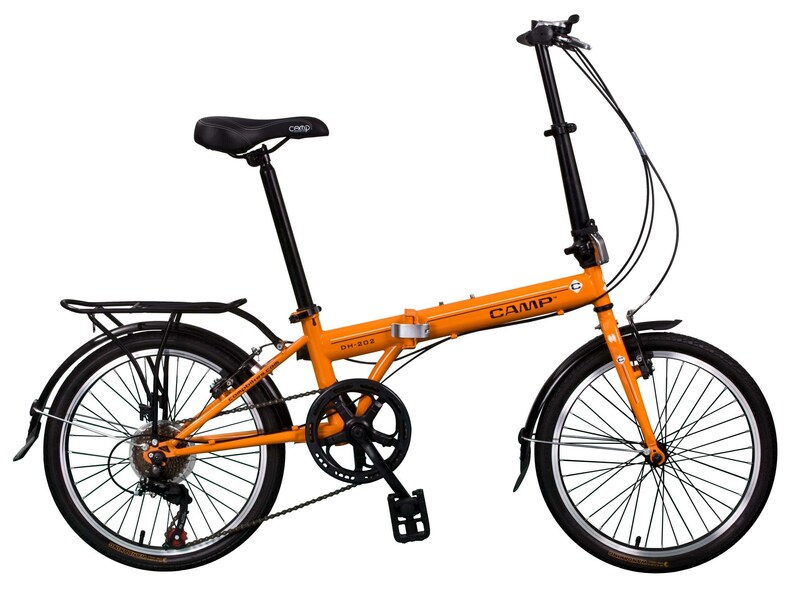 Most traditional folding bikes feature small wheels which are not very efficient but it’s a small price to pay. The BMX is definitely a phenomenon of our time and especially after the E.T. movie in 1982. It becomes so popular that every kid wanted one of these back then. Today the BMX is used mainly for tricks because it’s super strong and versatile. They have a very small frame and tires and because of that, they are slow. The BMX is very enjoyable and fun to ride but of course only for very short distances. The bike on the poster of E.T. is a BMX. Actually, I found this new trend quite soon. I was not aware of these tricycles for seniors and adults but when I researched the topic for my article about “The Best Tricycles For Seniors” I found them very interesting. Tricycles are very often referred to as trike ( as the bike is with 2 wheels and the trike with 3 ), but I don’t like this term. These tricycles are used mainly for recreation, shopping or exercise by seniors who are looking for something which could add fun and physical exercise to their lives. They are safe to ride, and easy to balance because of the three wheels and the low center of gravity. Here you have more bikes which are good for baby boomers.